Right Way Movers specializes in furniture delivery, business relocation, military relocation and much more. We’ve been in business, helping individuals, families and commercial groups move from one place to the next since 2002! Even if you don’t need an entire home or office relocated, we can still help! If you need to have just one piece of furniture or equipment moved any distance, give us a call. When you need an important item moved, you want to work with a company that has experience, is full of professionally trained employees, and knows how to carefully and efficiently transport your belongings and merchandise in Carlsbad or cross country. We’ll help you move anything, anytime, anywhere. It doesn’t matter where you need to go: we’ll help you get everything you need to deliver there in one piece. We transport anywhere in Carlsbad and even anywhere in the 48 continental states of the US! We have experience with servicing various homes, apartments, condos, businesses, offices, delivery of special items, and much more. 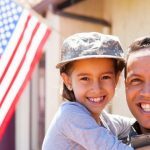 Not only do we employ US veterans and military personnel for part-time and full-time work, we also provide discounts for military personnel, US veterans, their families, and senior citizens.